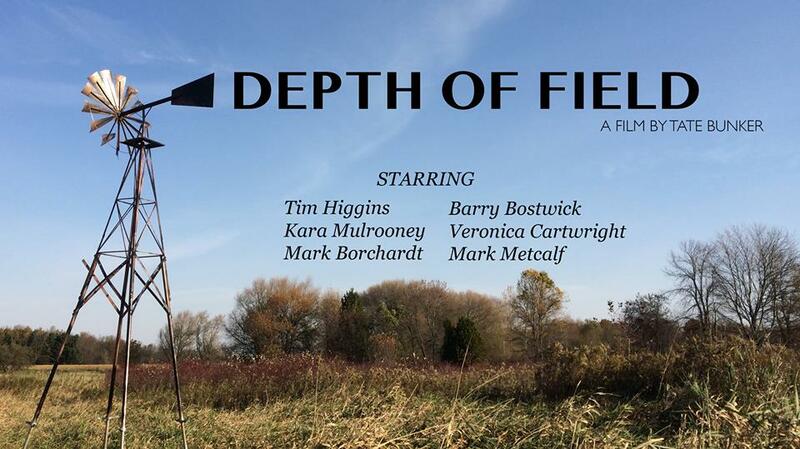 In November, I was casted in the feature film, "Depth of Field". In the film, my character is the younger flashback version of "Edith" who is played by Veronica Cartwright. Although I had no scenes with Cartwright, I was ecstatic that I would be in the same film as her! As you remember, she was in Alfred Hitchcock's "The Birds" as well as "Alien". I only became more excited when I realized Mark Metcalf would be in the film as well. You may not recognize it at first glance but Metcalf played "The Master" in "Buffy the Vampire Slayer". Read the movie's description below! "Ben and Lydia Holland have moved into an old farm on a large plot of land in Wisconsin, hoping to escape their stressful and busy life in Chicago. Finally getting a chance to breathe, the two begin their new lives exploring passions that were previously on hold. When Ben notices mysterious figures popping up in his photographs, he attempts to unveil the dark past that surrounds their new farm. As pressure from the sheriff and harassment from the locals push Ben and Lydia to a breaking point, the couple moves dangerously closer to discovering the truth behind the apparitions in the field..."
In October, I was casted as "Christy" in "Some Years Earlier". I was at work on a break when I received the news. I was so excited when I read the e-mail, that I ran out of the restaurant to call my mother but almost ran into an entering guest in the process. This film will always hold a special place in my heart because it was the first feature I ever booked. We have finished filming the proof of concept for the full length feature, you can watch it here. "When finding love means facing your worst fears. Some Years Earlier explores the universal human experience of being Born, Broken, and Recover. Jacob, a mechanical wiz, born a middle child into a mid-western suburban family, never felt like he fit in; or was even wanted. Jacob leaves home only to find, that he may be, what stands between what he has, and what he really wants."